Use these long blooming wispy perennials in sunny gardens or containers to attract butterflies and hummingbirds. Many varieties to choose from with blooms in shades of pinks and whites. Deer and rabbit resistant, prefers moist, well-drained soil, but is tolerant of drought and poor soils. ‘Siskiyou Pink’ and ‘Whirling Butterflies’ are long time favorites. 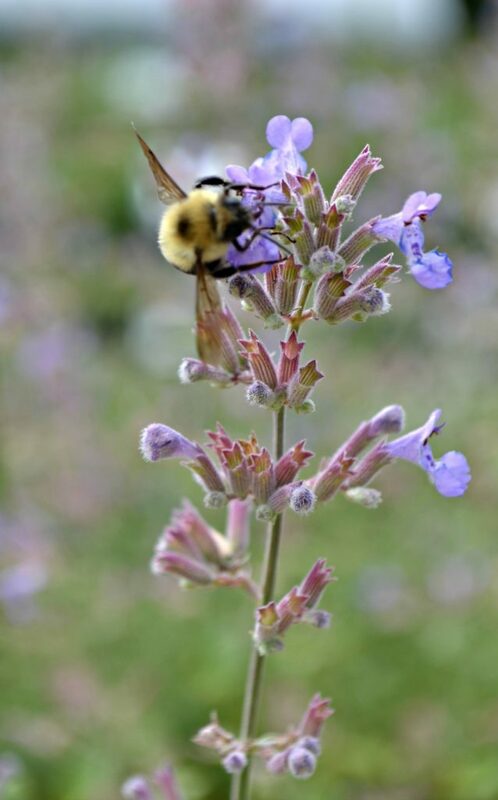 Bees, butterflies and hummingbirds are all highly attracted to the masses of tubular purple-blue flowers on this sun loving, long blooming summertime favorite. Deer and rabbit resistant and sometimes recommended as a substitute for Lavender in humid situations. 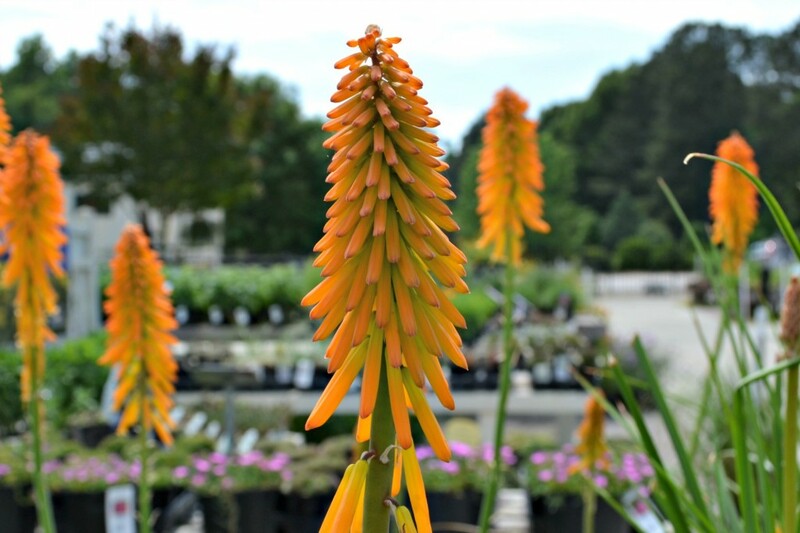 ‘Walker’s Low’ is a well known variety and was chosen as “Perennial Plant of the Year” for 2007. 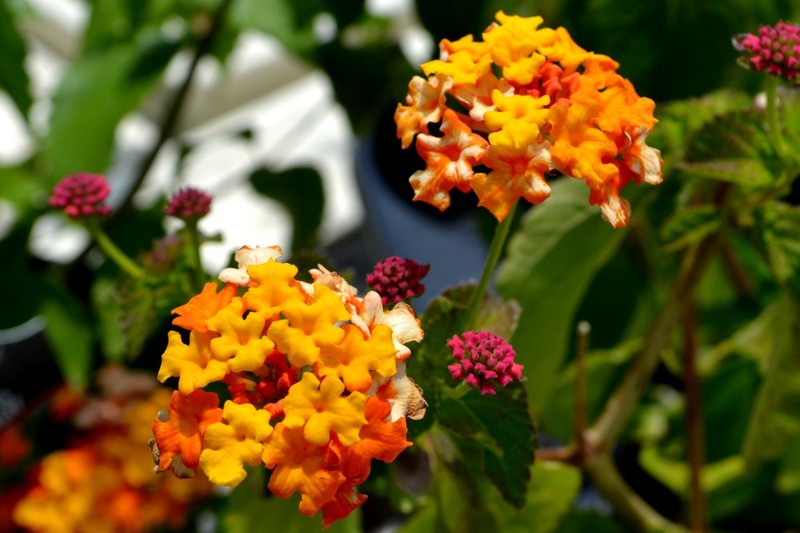 Hummingbirds and butterflies are attracted to the unusual red, orange and yellow spikes of tubular flowers on this long blooming, sun loving, summertime perennial. Deer and rabbit resistant and can tolerate clay soil. Many great varieties to choose from all depending on how tall you need and what color you like best. This sun loving perennial is highly attractive to hummingbirds and butterflies. Clumps of dark green scented foliage are loaded with blooms from early spring through fall, sometimes with a brief pause in very hot dry periods in summer. Deer and rabbit resistant with many varieties to choose from with blooms in shades of red, pink, salmon, white and purple. 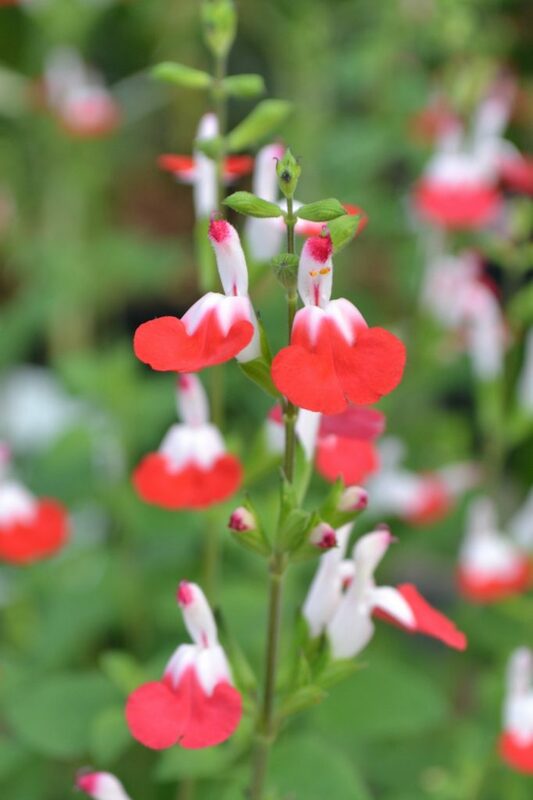 ‘Hot Lips’ is a favorite variety known for its red color during the heat of the summer. Hummingbirds are highly attracted to red. This perennial is a hummingbird favorite and butterflies like it too. 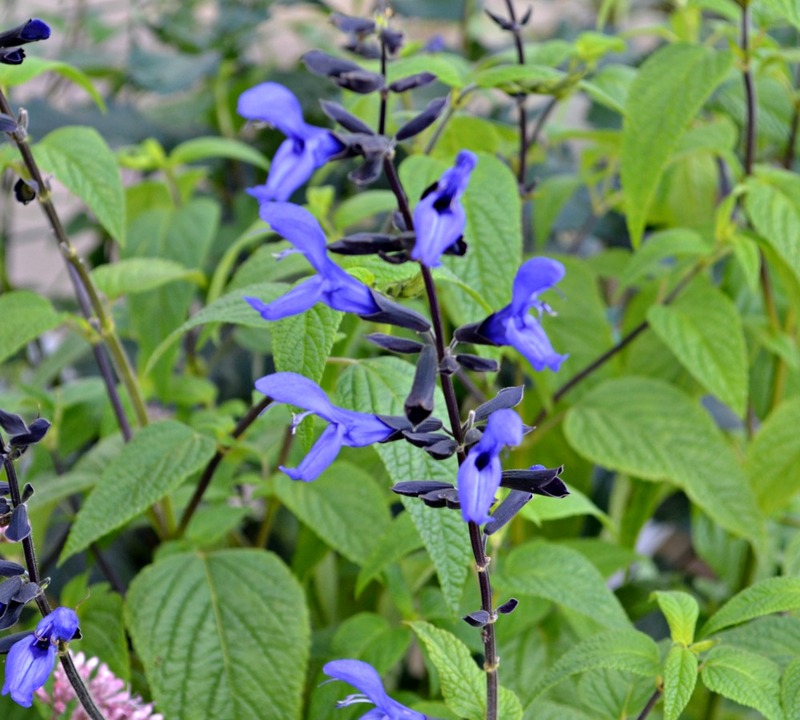 Intense cobalt blue tubular flowers with black stems bloom from June to frost in sunny locations. Leaves are bright green with a fuzzy texture. Unfortunately this show stopper is not deer resistant and can be a vigorous spreader. 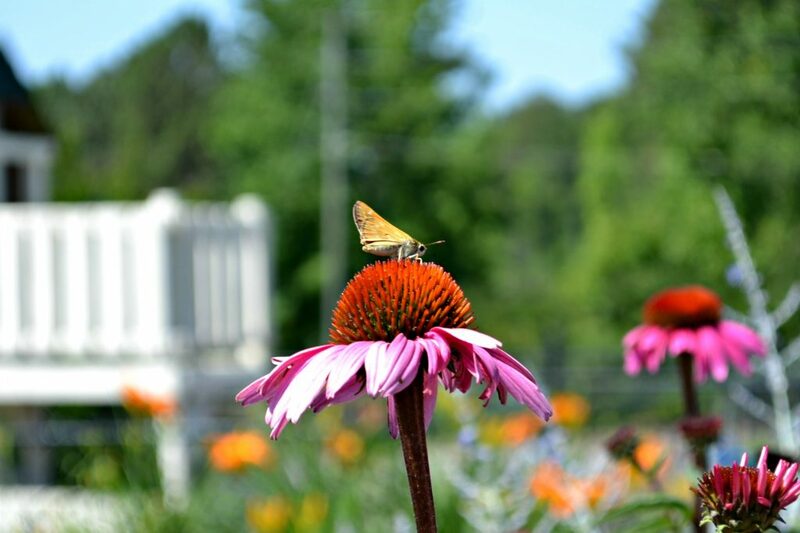 Butterflies, bees and hummingbirds are all attracted to the cone-shaped centers on this long blooming native perennial which is tolerant of poor soil, heat, wet and clay soil. Deer resistant. ‘Magnus’ (purpurea) is a favorite and was chosen as the “Perennial Plant of the Year” for 1998. Butterflies and bees are attracted to this fall bloomer with large clusters of small fluffy flowers. Can be used in sunny boggy situations as well as areas with normal moisture. Deer and rabbit resistant. ‘Gateway’ is a well known variety with large mauve-pink flowers and stands up to 60” to 70” tall x 24” wide. Hummingbirds and butterflies are attracted to the airy clusters of dainty bell-shaped flowers on this shade loving perennial. ‘Caramel’ (x villosa) is a top choice for hot, humid climates. Attractive to hummingbirds, butterflies and bees. 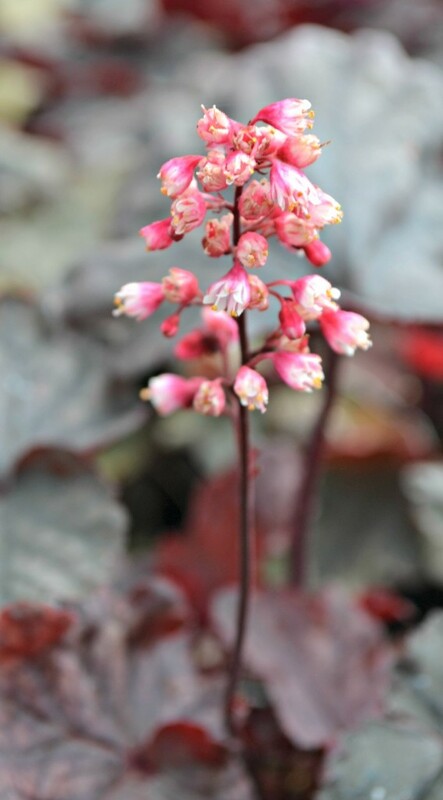 The long blooming flowers are surrounded by showy colorful bracts and the leaves have a spicy fragrance. Deer and rabbit resistant, does well in boggy situations and can tolerate clay soil. 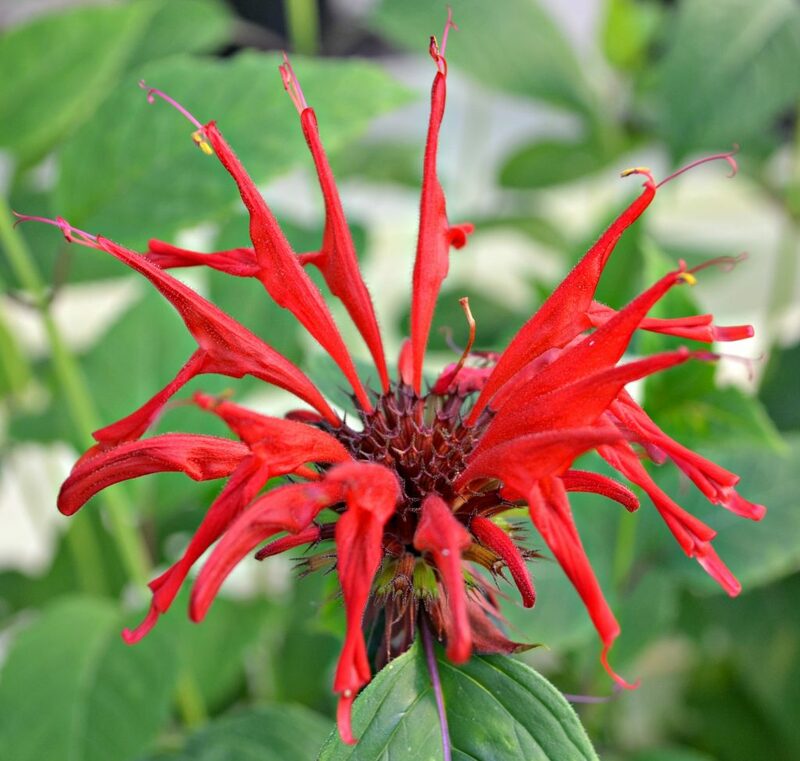 ‘Jacob Kline’ is a well known favorite because of its hummingbird favorite large red colored flowers. Butterflies and hummingbirds are attracted to the profusion of showy orange, yellow and pink flower heads on this large, sun loving, long blooming. 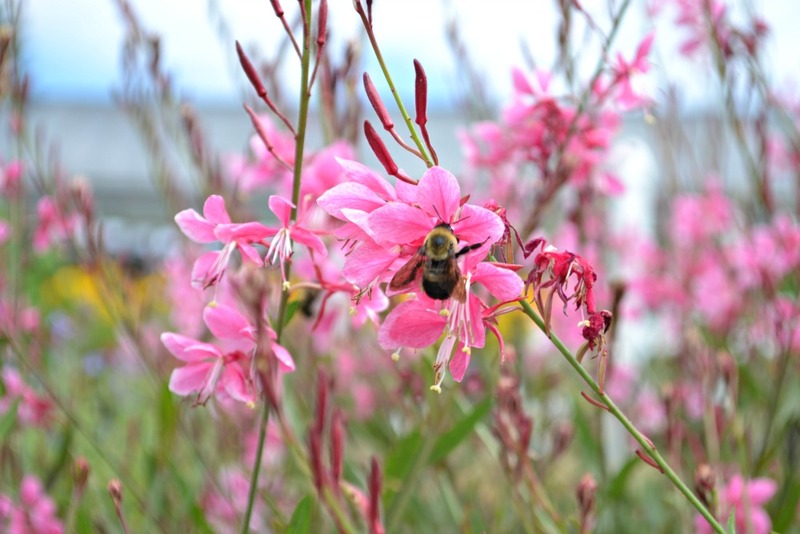 These are just a few of our favorite perennials plants for pollinators. There are many, many more! Hummingbirds, butterflies, bees and more are attracted to a wide variety of annuals, perennials, trees and shrubs. This list should help you get started.